(+) Consider this - If you only need auto insurance , allowing a licensed insurance broker to create multiple quotes is the easiest way to find the best auto insurance policy for your needs and budget. To get started, Hedge Quote can create a cost comparison report based on your preferences, so you spend less time keeping your insurance cost's under control. 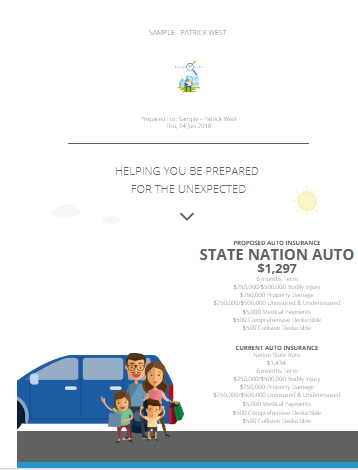 Our comparison reports are produced by licensed insurance agents and free of any cost or obligation which pretty much means you get to the numbers and skip the sales pitch.